If you are planning to hire a skip for a home or garden clearance project, you will need to know what size skip you need, where you can put it and what you can fill your skip with. Though skips are great for the majority of household projects, they do have some limitations and other methods may be more appropriate. 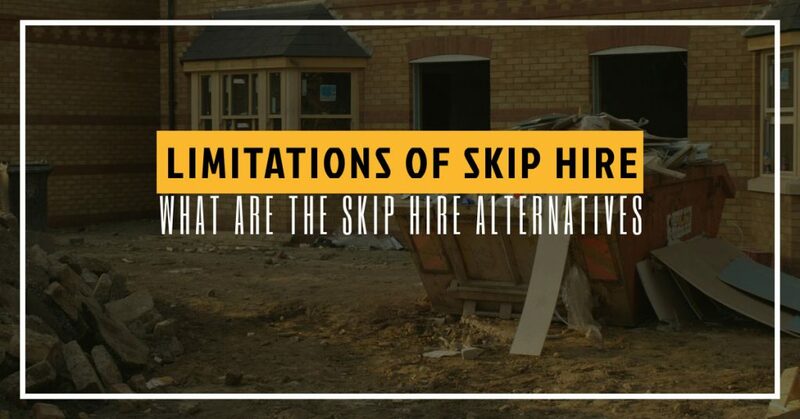 What are the Limitations of Skip Hire? There are a range of different skip sizes from 2 yard skips (which will hold around 20-30 black bin bags) to 14 yard skips (which will hold closer to 130 black bin bags). Choosing the size of skip you need depends on what you project it. So, for a kitchen refit, you will probably need a 2 or 4 yard skip but if you are planning more extensive work on a large house, or you want to completely clear your yard of trees, the larger 14 yard would be more appropriate for you. If you are planning to put the skip on your property, you will not require a permit. However, if you need to place the skip on public land – such as on the pavement or road outside your house – a permit will be required. What Can’t You Throw in a Skip? Though most of your household waste can be put into a skip, you must not put any hazardous waste into your skip. This is because hazardous waste is classified and dealt with differently. Accidentally putting hazardous waste in with your regular waste could cause the cost of the disposal to go up substantially so it is worth checking any items you are unsure of first. If you do need to get rid of white goods, your local council should run a service to pick them up from the front of your house on a designated day. This is usually a free service up to a certain number of goods after which there will be a small collection fee. 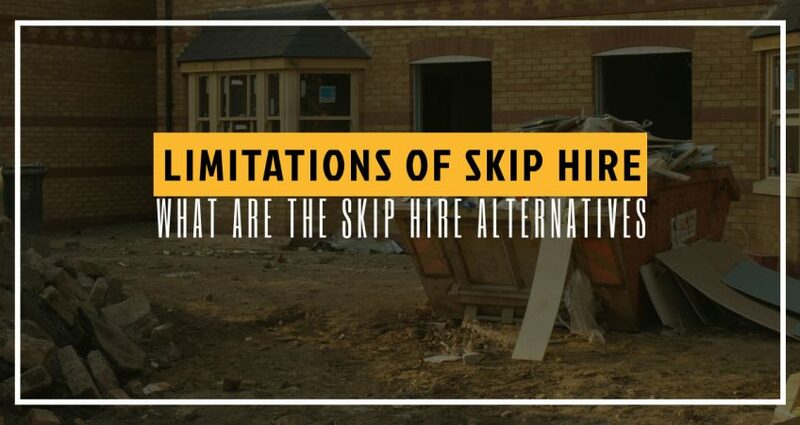 What are Skip Hire Alternatives? Skips are great if you can fit them onto your land, but they are not always the best option. A grab truck is a good idea if you can’t fit a skip onto your land but also can’t get a permit. This often happens if your house is in a city centre or on a main road. The truck will arrive at a designated time, grab your waste and go. This means that you will need to have everything ready for speedy loading, but you won’t need a permit. If you have a lot of small waste you could use skip bags. You will still need a permit if you want to put them on the road, but they are a lot smaller, less cumbersome and just as strong. These are ideal for a small-scale project that doesn’t necessarily produce enough waste for a 2 yard skip, or for longer projects that will produce waste steadily over a few days. B&M Skips provide affordable and reliable skip hire. Although we are based in Basildon we offer our services in most of the surrounding areas in Essex.